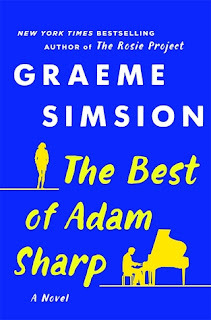 The Best of Adam Sharp contains some important messages about the folly of pining after a "lost love" and also the importance of recognizing and appreciating what you have now. Unfortunately, it takes a long time to deliver the message. 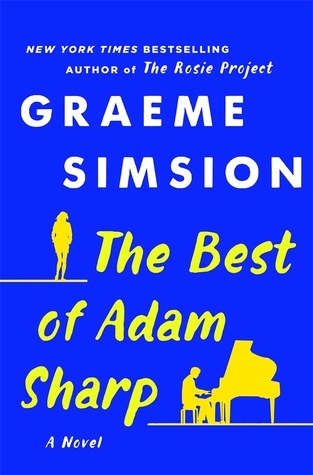 Adam Sharp works in IT in England and is an amateur musician. In the late 1980s, he's sent to Australia for a temporary work project. While there, he is playing piano and singing in a bar one night when a young woman comes up and begins singing with him. It seems she is an actress who is currently appearing on a soap opera, so she's well-known to everyone in the room -- except Adam. He eventually begins an affair with the woman, Angelina, even though she is currently married (although unhappily). When Adam's job assignment is up, he moves on to the next assignment in Singapore, and feels like he is in no position to ask Angelina to leave her job and marriage to follow him. Nor is he willing to give up his job and move across the world to be with her. Eventually he begins a long-term relationship with a woman in England, Claire, and they settle down into domesticity. But of course, he never forgets Angelina and always wonders "what could have been." Fast forward 20 years. He and Claire have become rather bored with each other. He works now and then on temporary IT contracts, but it's really Claire who brings in the money. They tried to have children, but were unsuccessful and didn't want to to the IFV route. Now Claire's company is possibly going to be purchased by a larger company, and if that happens, she will have to move to the USA, at least for a few years, to complete the transition. Once again, Adam is unwilling to uproot himself (although there doesn't seem much to give up) and so he pretty much decides that if Claire goes to the USA, that will be the end of their relationship. At the same time, out of the blue, he begins receiving messages online from Angelina. In the years since their relationship she has divorced, remarried, had 3 children, and become a lawyer. With his own relationship in something of a decline, Adam again begins to fantasize about having a relationship with Angelina. It just so happens that she and her husband are coming to France for a vacation, and she proposes that Adam might like to join them -- for old time's sake. The second half of the book, when Adam and Angelina reconnect, is quite long and drawn out, and veers into very unlikely territory. Both Adam and Angelina's husband, Charlie, fall all over themselves to wait on her hand and foot. What is really going on in Angelina's marriage is also a question that takes a long, long time to resolve. All in all, I found the book to be quite annoying. Not only the complicated relationships, but the fact that Adam, wherever he goes, finds a piano and immediately sits down and starts to play and sing is quite far-fetched. Not only that, but whoever happens to be around (friends, significant others, general strangers) beg him to continue playing and shout out requests. Also, he knows just the right song and just the right lyrics to sing (while giving significant and meaningful glances) for any situation. If I knew this person I would be MORTIFIED and refuse to go anywhere with him. And why are there pianos at every bar, house and airport he visits??? While the book may contain some important messages, it takes so long to get there, with so many musical asides, that at the end I was just grateful it was over, rather than enlightened!